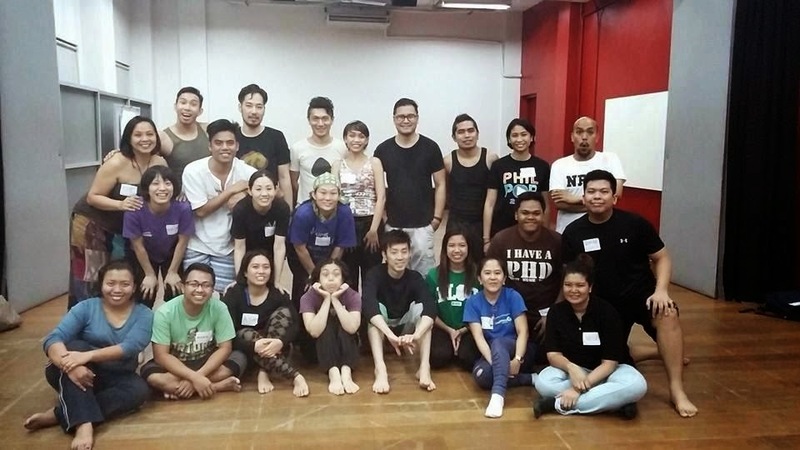 "In performance, always start at your 100%...not at your 5%, because people around you will hesitate to start at 100%", said Rio, one of our facilitators during the Viewpoint workshop conducted by the Dora Theater Company of Japan. The workshop was held at PETA Theater, Quezon City, last July 27, 2014. The workshop was a follow up to the non-verbal play "Ayanasu" (a Japanese word that means "to weave") that I watched the night before. The Japanese cast who acted in the play were the ones who facilitated the workshop (These people were really talented and humble!). I paid Php 1,800 for both the play (two consecutive non-verbal plays, the other one was "Strong Boy, Deaf Boy, and the Girl in Abaya", a Filipino production) and the workshop, and it's all worth it. 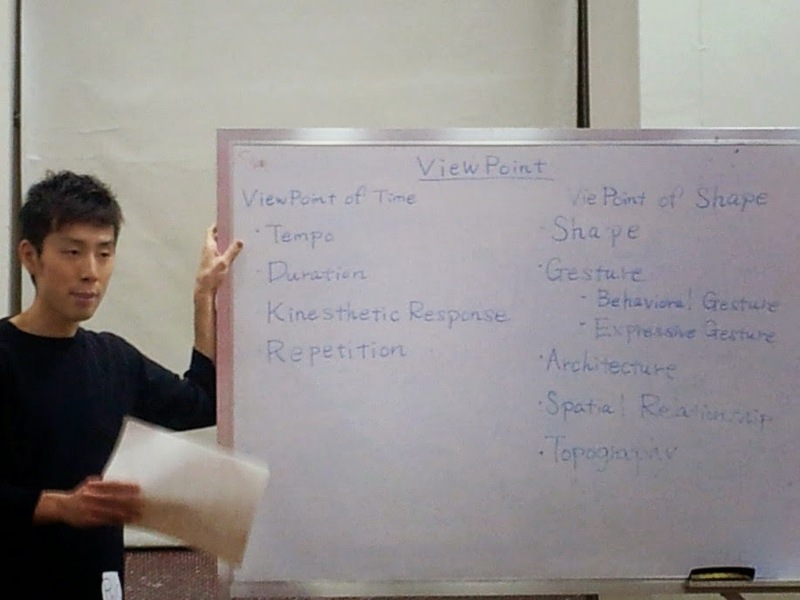 The facilitators taught us about Viewpoint: Viewpoint of Time (Tempo, Duration, Kinesthetic Response, and Repetition) and Viewpoint of Shape (Shape, Gesture, Architecture, Spatial Relationship, and Topography). 1. On a personal level, theater workshops could enhance my communication skills. Knowledge on appropriate movements and sensitivity to the non-verbal response of people around you are essential elements of communications. 2. Theater actors have greater responsibility other than playing their respective roles as required in script. Theater/stage play is a powerful medium to touch lives and promote social change. In one of our exercises, we did a skit on topics that are taboo in the Philippine society. I was amazed by how the participants (mostly theater people) were able to come up with truly moving pieces, within 5-10 minutes prep time! If only we could show these in public schools, or to those who could not afford to buy tickets for such productions, this country would be a better place. "Share what you know, because only through that we enrich our learning", said Kenjiro, the playwright/director of Ayanasu, and the main workshop facilitator. I believe the man.